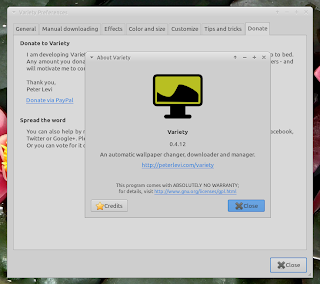 Variety wallpaper changer is a full featured wallpaper changer which works on Ubuntu and its derivatives (Kubuntu, Lubuntu, and Xubuntu). 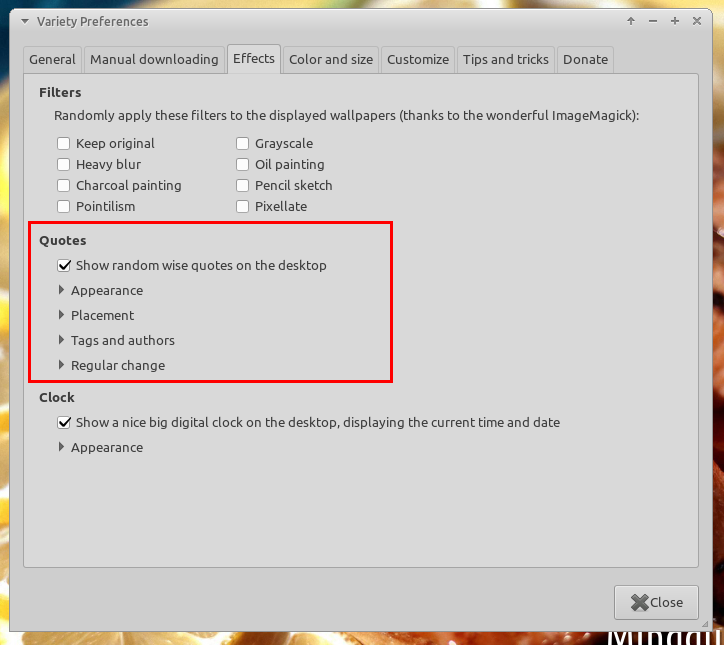 It changes the wallpaper on a regular basis or automatically by downloading images from online sources. great visualization of the history and the image folders which allows the user to very easily change the wallpaper manually. Variety wallpaper changer can download images from Flickr, Wallbase.cc, World sunlight map, Wallpapers.net, NASA Astronomy Picture, and more! I have tested it on Xubuntu 12.10 Quantal Quetzal and it runs well. 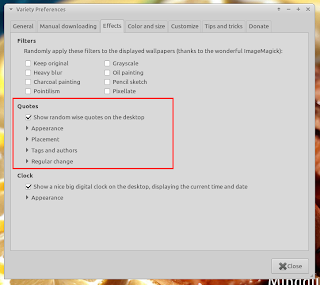 In this latest version of Variety wallpaper changer, it can display quote in a very beautiful way on the desktop and users can customize it almost everything (keywors, authors, font, colors, placement, etc).